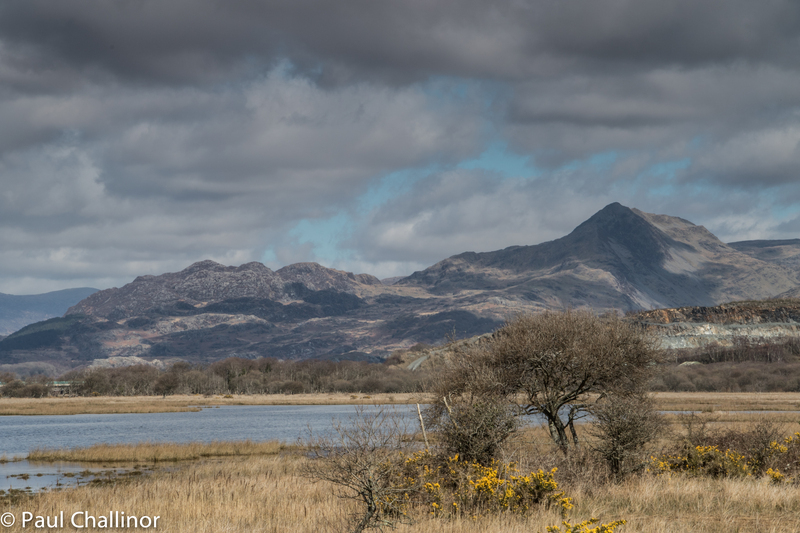 As we were driving around during the Easter weekend explorations we had to go into Porthmadog to get some much needed food supplies to prevent starvation in the caravan. This meant we had to cross the Cob, an embankment that encloses Treath Mawr. This was built to allow the allow drainage of the land behind it for agriculture. It was later changed to allow the Ffestiniog Railway to access the port bring slates down from Ffestiniog for export. The Afon Glaslyn is only about 16 miles but it flows through one of Wales most beautiful areas. It has its source in Llyn Glaslyn on the flanks of Snowdon. It is joined by Nant Traswnant which drains Pen-y-Pass and by Nant Cynnyd before entering the beautiful Llyn Gwynant. After flowing through Beddgelert the river emerges from the gorge into the relatively flat agricultural land east of Porthmadog. This wide flat valley – now called Traeth Mawr, Large Beach, was once the estuary of the Glaslyn before the Porthmadog Cob was created. This sealed off the mouth of the estuary enabling the land to be reclaimed. 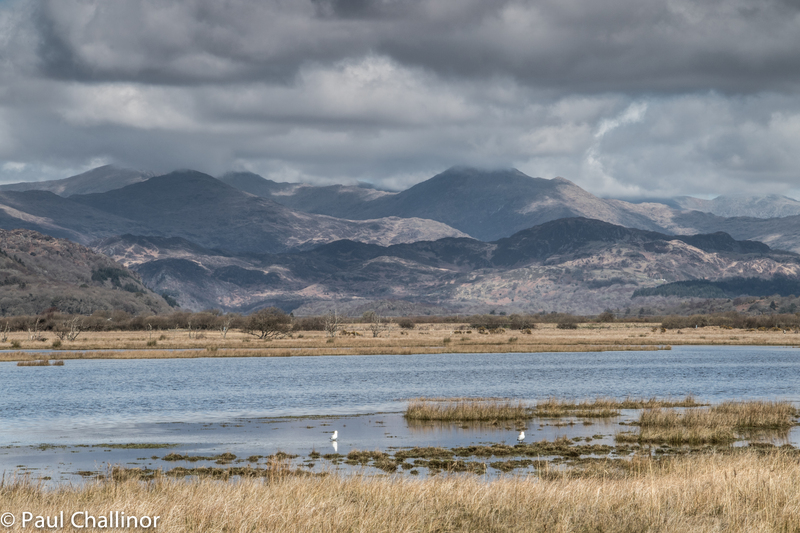 Once the river has crossed under the railway line, it meanders in large pools and marshes before eventually passing through the tidal sluices on the Cob at the south-eastern end of the town of Porthmadog. I driven past these views hundreds of times on my travels but have never stopped before this weekend and walked across the Cob. But the weather was too good to be resisted. The first pair of breeding ospreys in Wales nest at Pont Croesor about 4 miles (6.4 km) upstream from Porthmadog where the RSPB have set up observation facilities. They first bred in 2005 and have returned every year since.